We all have a responsibility to keep an environmentally sensitive home. But how can you do it affordable? What are easy steps your family can take at home to help the environment? How do you find the right information that makes sense for your lifestyle? 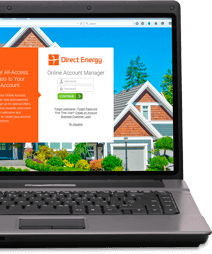 Direct Energy can guide you along the basic tenets of green living, the fundamentals of green energy, and easy steps for practicing sustainability at home. Whether you're just starting out or you've been green for years, we have resources for you. What is Green / Renewable Energy? Residential Solar and Wind Systems: What are the Energy Costs?